St. Amand is a village in the southern part of the Department of the Pas-de-Calais, 17 kilometres east of Doullens. The British Cemetery is located on the other side of the road from the church. 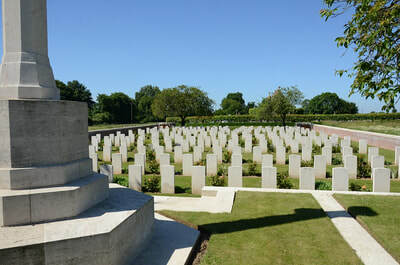 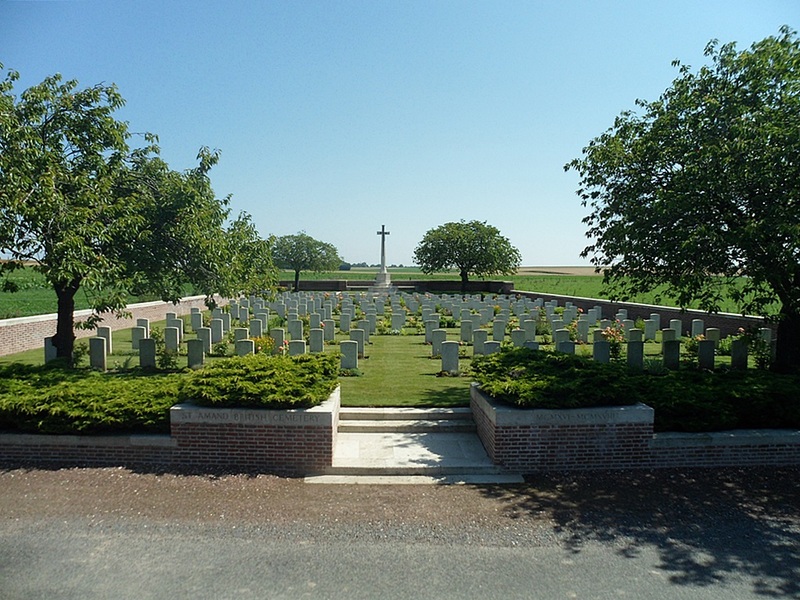 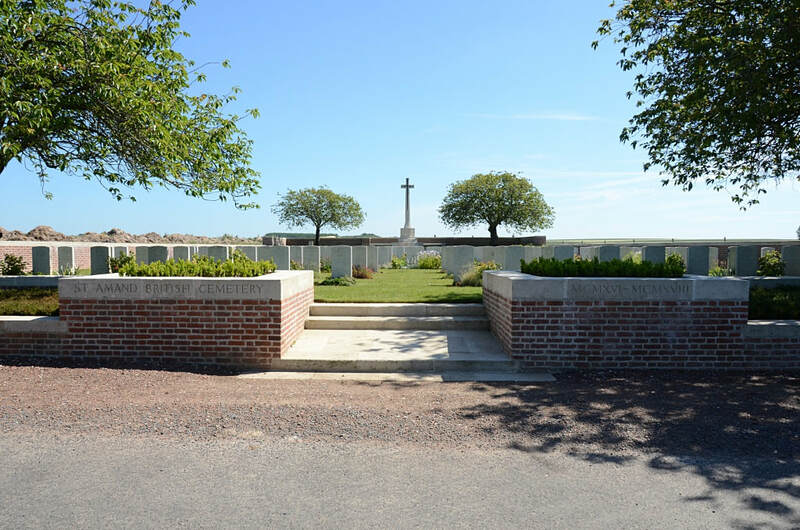 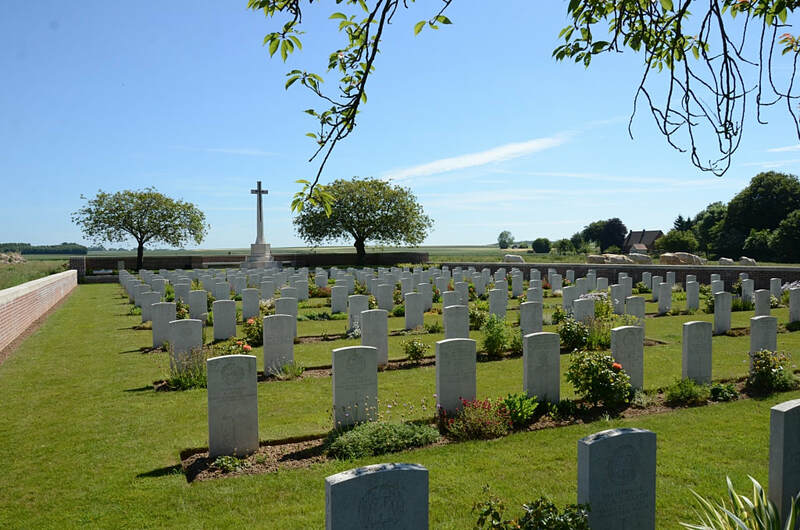 The British Cemetery was begun in April, 1916, and used by fighting units and Field Ambulances until August, 1918 (though in 1917 it was practically closed), particularly by the 37th and the 56th (London) Divisions. 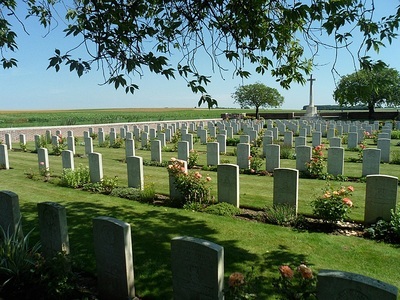 There are now over 200, 1914-18 war casualties commemorated in this site. 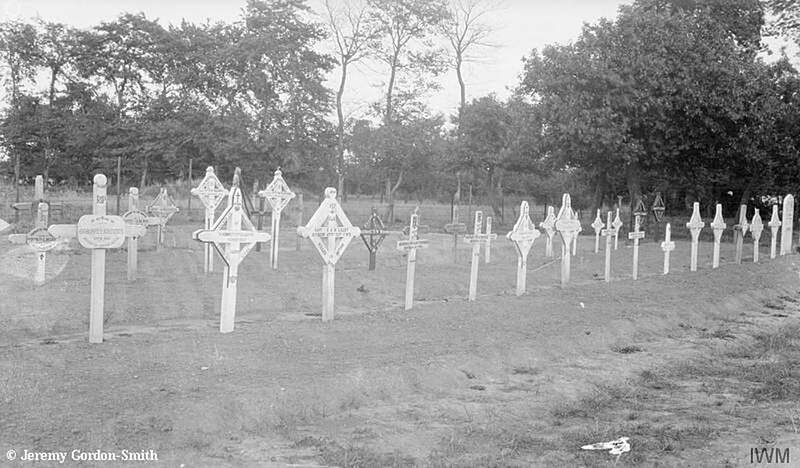 Of these, a small number are unidentified. The cemetery covers an area of 1,232 square metres and is enclosed by a low red brick wall. 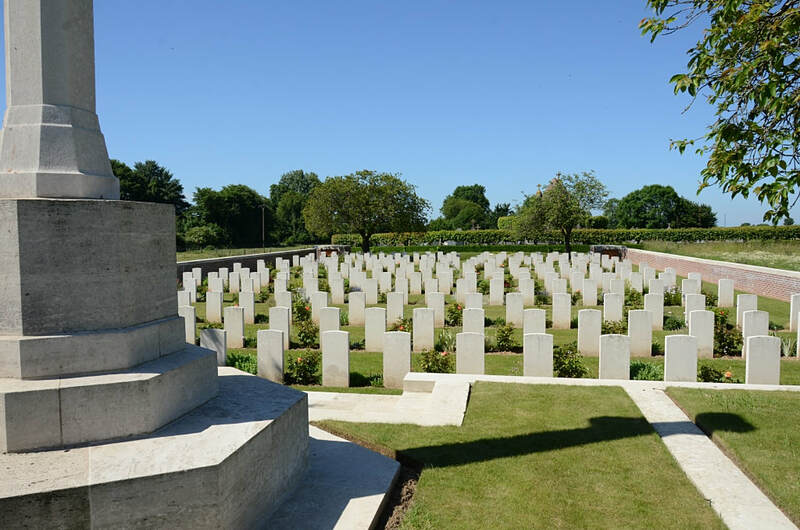 Casualty Details: UK 222, New Zealand 1, India 1, Total Burials: 224.